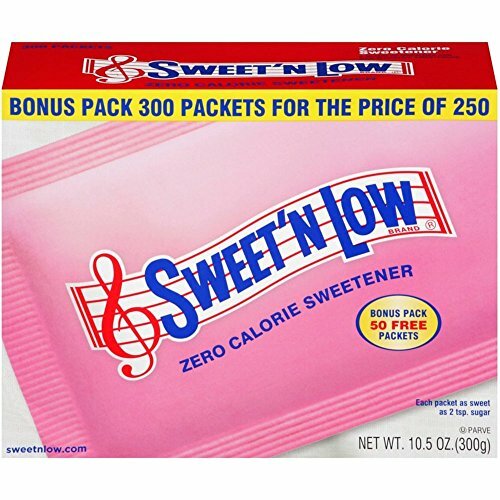 Sweet'N Low 300 Pockets. Zero Calorie Sweetener. Each packet is as sweet as 2 tsp of sugar. 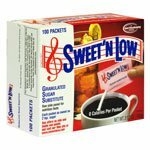 How to Substitute Sweet 'N Low for Sugar: Many recipes require some sugar for proper volume, texture and browning. We suggest replacing half the sugar in the recipe with the equivalent amount of Sweet N Low. 6 packets = 1/4 cup, 8 packets = 1/3 cup, 12 packets = 1/2 cup, 24 packets = 1 cup. Zero Calorie Sweetener. 250 Packets. Each packet as sweet as 2 tsp. Sugar. 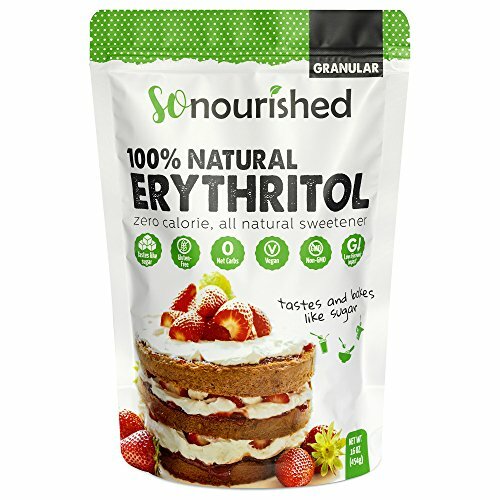 A blend of nutritive and non-nutritive sweeteners. 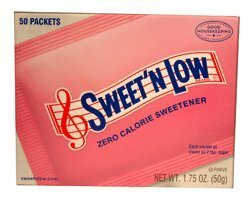 America's Original Zero Calorie Brand Sweetener. For sweetening, cooking and baking. Dissolves instantly in hot or cold beverages. 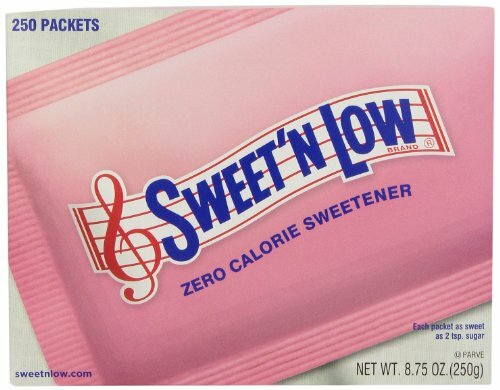 Sweet'N Low can be used just like sugar but the amount you need will be much less. Each premeasured packet has the sweetening equivalence of 2 teaspoons of sugar and contains less than I gram of carbohydrate. Making healthy choices can be hard, but putting one of these babies in your coffee or tea every morning is easy. 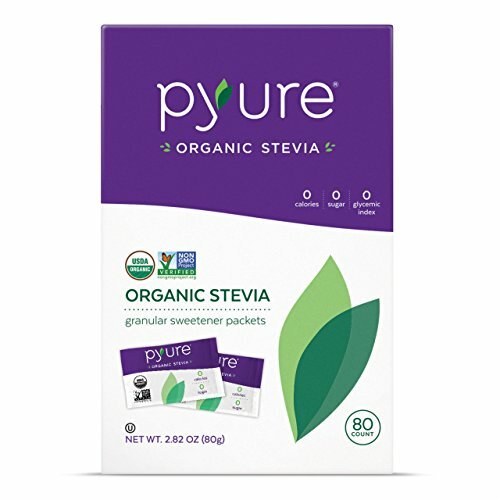 Pyure Organic Stevia Sweetener Packets is granulated and looks, feels and tastes like sugar, so you can enjoy in your favorite foods and beverages and feel good doing it! 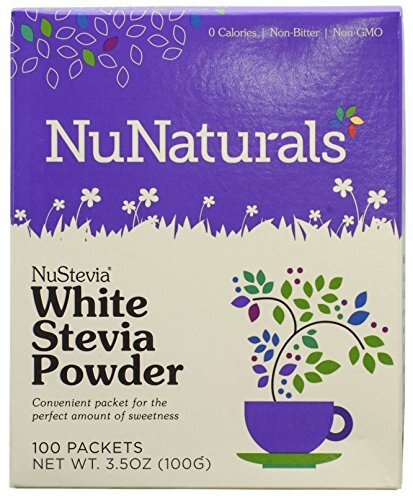 NuStevia White Stevia Powder Use White Stevia Powder in coffee, tea, cereal, yogurt, fruit, or anything that needs sweetening. Even use it as a powdered sugar substitute, brown sugar substitute or granulated sugar substitute in baking recipes, with a couple small recipe tweaks. With a better taste and better value, you might just say it is the best sugar substitute out there! Use 1/4 tsp for a taste as sweet as 1 tsp of regular sugar. Derived from grain and plant-based extracts, for a Vegan, Gluten Free, GMO Free all-purpose, natural sweetener with zero calories. 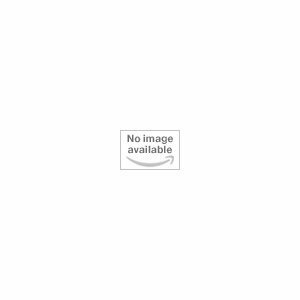 Copyright © Wholesalion.com 2019 - The Best Prices On Granulated Sugar Substitute Packets Online.